Very nice. I'm trying to learn how to texture with Blender right now. Thanks. 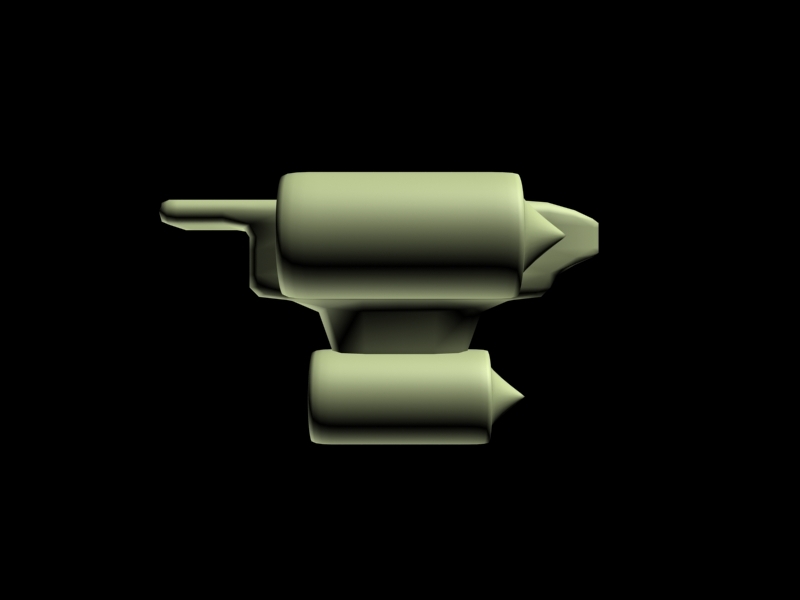 I just added a turret and made a small animation with it, I'll see about posting it later today. The Evil Deed was actually inspired by a Star Wars freighter...I think it was called Hell's Anvil...I don't know, it was from the game Bounty Hunter. I'm going to use this thread to post all of my 3D artwork. The Evil Deed in Flight, my friends. With textures. And the turret. And some other third thing. Thanks. 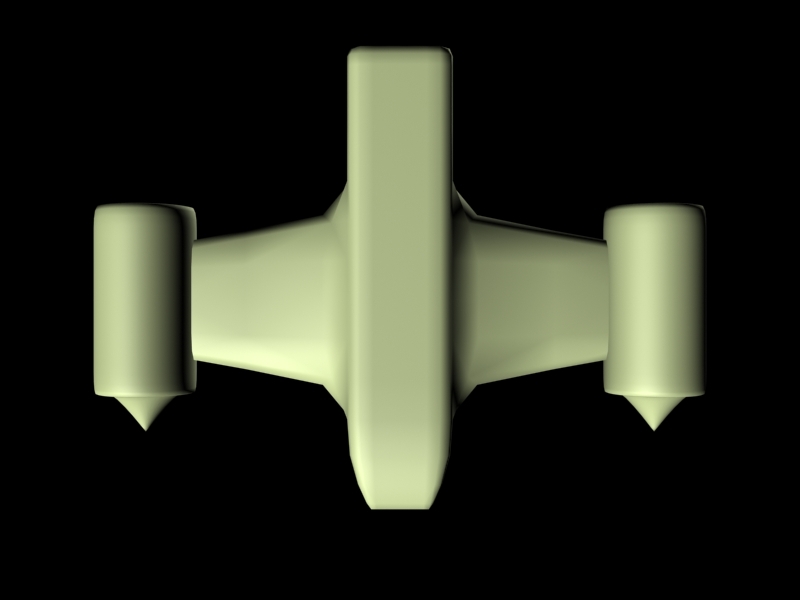 I'll see if I can get the turret to fire in my next animation. I am actually making a real live model of the Evil Deed in my CAD shop at my Vo-Tech! I'll have pics by sometime next week. Compared to its would-be actual size, its kinda small, but its better than nothing. A demo reel with the Evil Deed fighting a modified Romulan Talon cruiser. 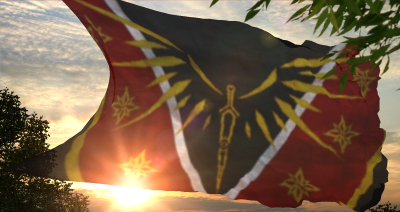 For my friends here, I have a new background and banner! 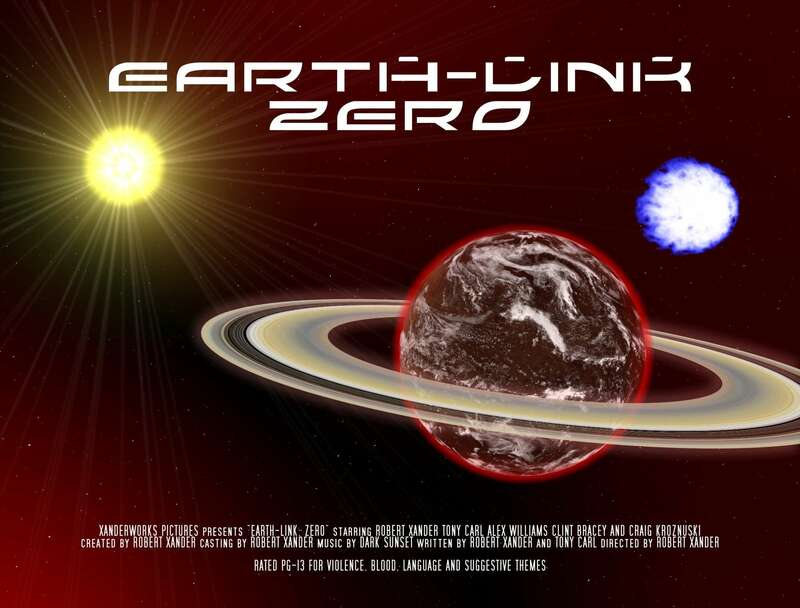 A banner for Earth-Link Zero, for sigs. Needs to be a little bit smaller I think. But beside that I like it. Thanks, I'll see if I can make it a little smaller. I am going to try something. Something interesting. Whaddaya think of this as a home button? It's certainly better than what we have right now... Looks good actually. 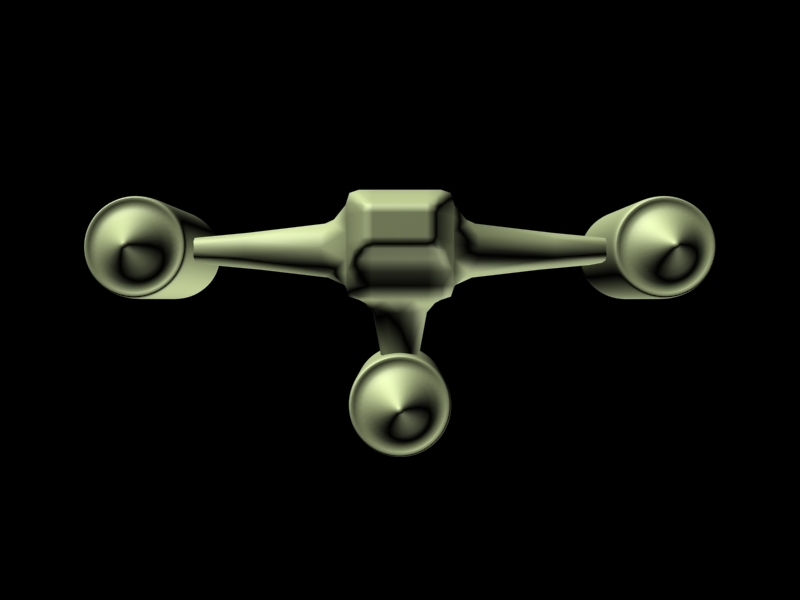 Another test with the Evil Deed, this time I tried making engine exhaust. 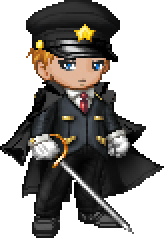 It's not exactly my best work, but eh. 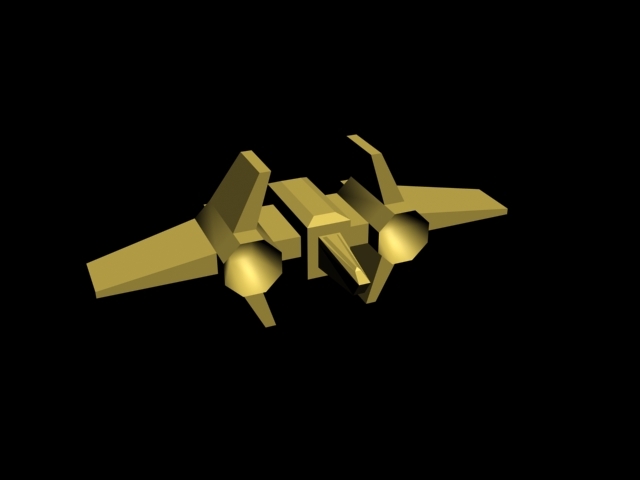 I started building a ship from Colony Wars, the Dark Angel Class Interceptor. 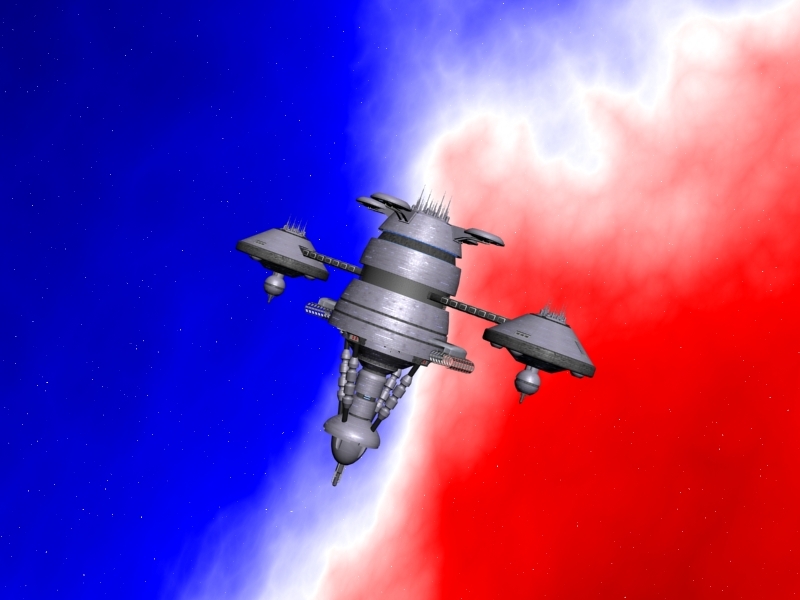 Just for the heckuvit, an Immense Class Starbase that someone else built.